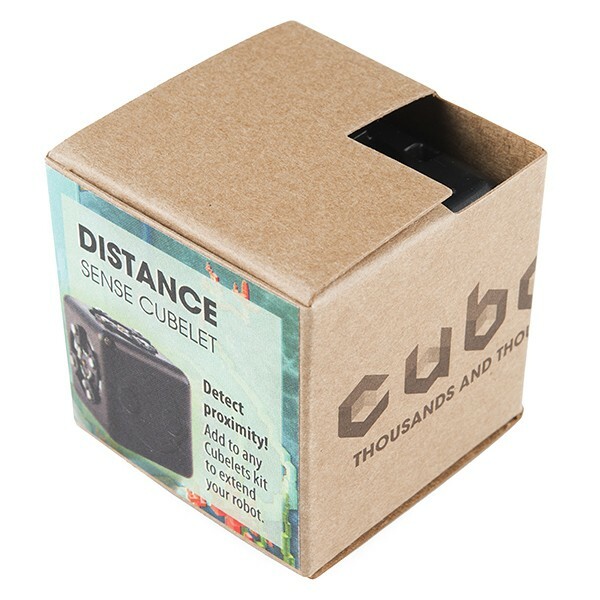 Description: The Distance Cubelet detects how far it is from an object. 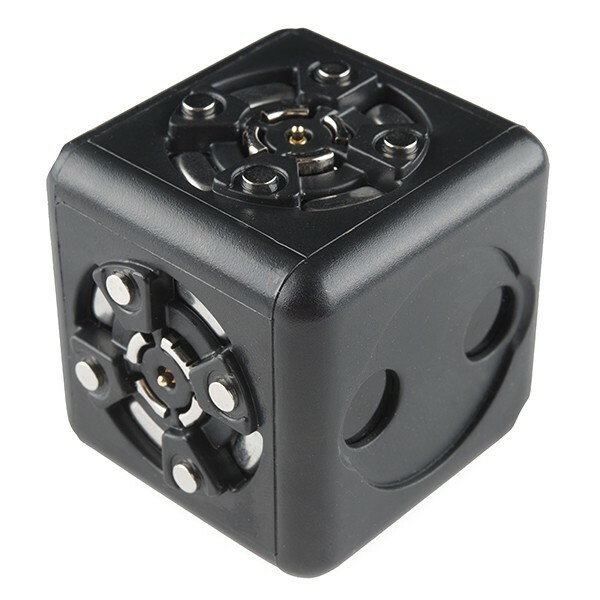 It uses infrared light and is accurate between 10 and 80 cm. The sensor is directional, so outputs the distance to the object in front of the sensor. At 10cm, the block will output values near 1, and toward 80cm it will output values near 0.